“Can I prune a tomatillo plant?” This is a common question among many new tomatillo growers. While tomatillo pruning is something that is done on occasion, it’s tomatillo support that is really more important. Let’s learn more about the support and pruning of tomatillos in the garden. Before you decide how to prune tomatillo plants, you must first determine your goals. The way you prune your plant helps determine the number of tomatillos the plants will produce and the size of the fruit. It also affects the date of maturity. 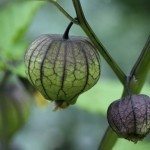 Can I Prune a Tomatillo? While tomatillo pruning isn’t absolutely necessary, you can improve the health of the plant and the yield by pruning. First, determine whether you want one or two main central stems. With two stems, you’ll have more foliage to protect the fruit and you’ll get a large harvest; but if you remove all but one central stem, you’ll harvest your fruit earlier. Suckers are stems that develop in the crotch between a main stem and a side branch. Pinching out suckers lets more sunlight into the central parts of the plant and allows better air circulation while dense foliage promotes slow growth and disease. 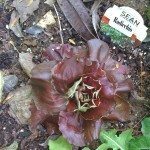 Removing all of the suckers reduces the yield, but you’ll probably want to remove some of them to promote healthy growth. Pinch the suckers when they have at least two leaves less than 4 inches long. Remove the sucker with hand pruners or by squeezing the base of the stem between your thumbnail and forefinger. It’s a good idea to clean your hands with sanitizer or dip your pruners into a disinfectant solution before moving to the next plant to prevent the spread of disease. Tomatillo plants are usually supported by stakes, trellises or cages. Install stakes and trellises before planting to avoid injuring the roots of the plants later. Use metal or wooden stakes that are at least 2 inches in diameter and 4 or 5 feet tall. Tie tomatillo plants to the support loosely with polyethylene or sisal twine, avoiding parts of the stem that are just below flower clusters. Cages are easy to work with and you won’t have to spend time tying and retying your plants. You can make your own out of concrete reinforced fencing wire. 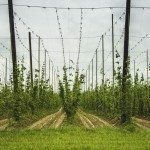 The wire should have 6-inch openings to allow for easy harvest. Form an 18-inch diameter circle and fasten the ends together. Clip out the horizontal wires around the bottom so that you can push the vertical wires into the soil for stability.